"Liz knew her stuff and was on the ball. She made it all so easy"
"Thanks so much for all your help Jaimi, you're so awesome!" "Decided I was due for an upgrade, 2017 Ford Ranger was the choice, stoked with the purchase. Cheers Jessica Fairbairn at Wilson Financial for the finance." "Have used brokers before & this one's definitely the best." "All went well thank you very much for the support we are very pleased with the service." "Just wanted to say thanks again for your patience and amazing service over the last few weeks in getting that asset on board! We picked it up yesterday afternoon and its getting a workout on site already! We really appreciate all your effort and look forward to building on our partnership! "
"Very patient with questions & always pleasant to deal with." I’ve just completed the review of your assessments. Can’t fault you anywhere throughout the case studies and exercises and your final exam was near perfect. Overall a fantastic result – congratulations!" "The whole team was excellent. From initial contact to presentation of options to final approval to follow through and after care- everything was excellent." "The service that Jess, Liz and the team have provided has been above and beyond. I cannot recommend your services enough. Thanks so much for the “money” tree- what an awesome thought. We are so appreciative of all you’ve done to get us into our new house. Thanks again." Q: Any additional comments about your experience with your Finance Broker and/or related staff? A: "Support staff also excellent & I can't sing their praises loudly enough." Kind regards and we'll talk again soon. "Liz's service is second to none, she is professional with a personal approach. Our first Home purchase was completely stress free - any question was never too difficult and always promptly responded to, for this I cannot thank her enough. Wilson Financial is definitely highly recommended!" ﻿"Thank you for going above and beyond. Your help was the most amazing support. I can't sing your praises enough." "Liz and her team are the best brokers we have ever dealt with. She took our dream and turned it into reality when we thought it would never happen! Highly recommended!" "Liz and her team have helped our dr﻿eams come true. We have already received help from Liz and Melissa to buy two homes and where looking at another. Thank you for changing our lives." We are so grateful for your professional advice and help in the purchase of our New Car. As we are the owners of a brand new business – ONE AGENCY Bowral - we were finding it difficult to have a bank to lend the monies for the new business car. After approaching Wilson Financial we were delighted to find a very friendly, knowledgeable and helpful financier. In no time at all we were financed and ready to go and pick up our new car. Today we have our BRAND NEW CAR – exactly what we were looking to purchase. "As first time home buyers, we really needed our hands held throughout the whole process, and Liz and her team made sure that happened. I'm not sure there would be many brokers who would reply to emails well after midnight! Wilson Financial were able to negotiate a loan for us when other brokers had told us it couldn't be done. 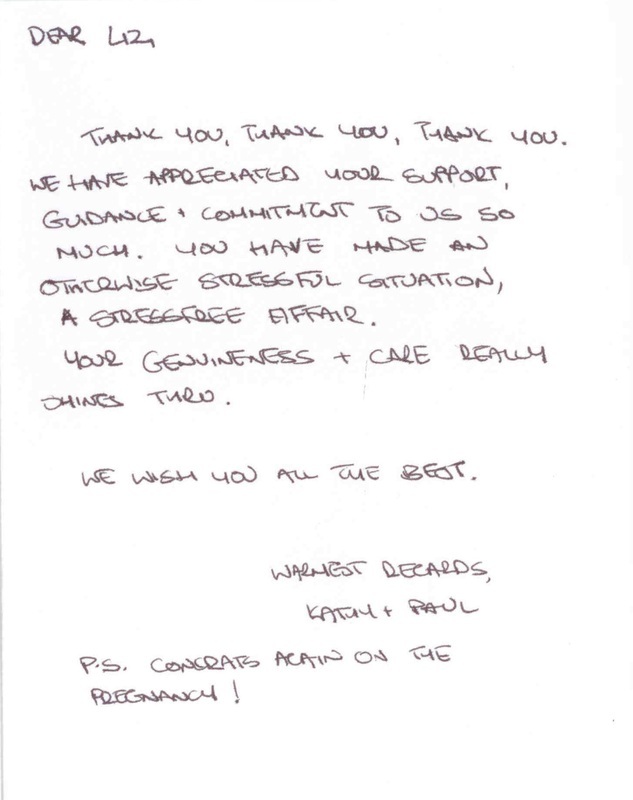 We will unreservedly recommend their services to family & friends." "We all know its one thing to have a professional service and another to be able to communicate that same service. Liz at Port Home Loans not only provided the best solution to my mortgage with her wealth of knowledge but, more importantly, gave me a full understanding of what was involved with warmth and integrity. 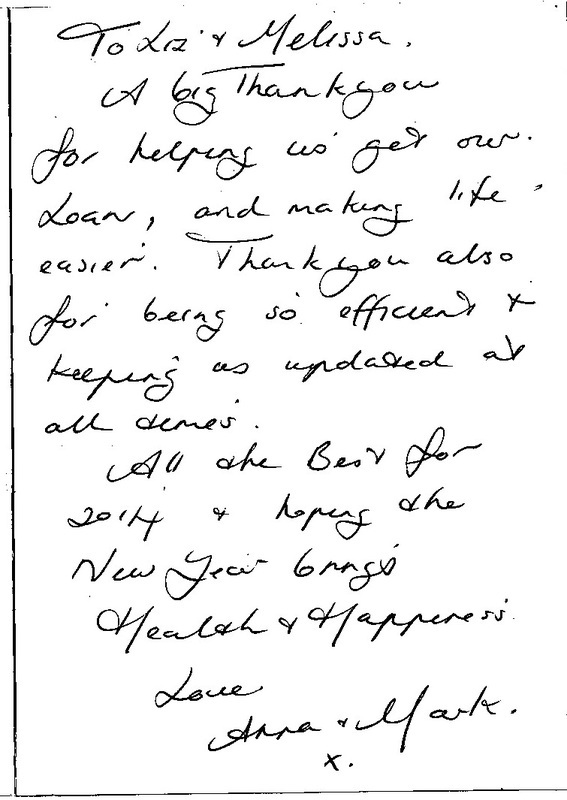 I highly recommend anyone to contact Liz as their first and only Mortgage Adviser." I first came into contact with Ms Liz Wilson, Lending Manager of Port Home Loans, Port Douglas, earlier this year. I was looking for a property to purchase with finance from an Australian bank. This proved very difficult since I am an Australian expat based in Darfur, Sudan, working with the United Nations-African Union Mission. However, once I made contact with Liz, everything changed. We communicated regularly by email. Liz is an action lady. She moved fast to assist me with arranging finance from one of Australia’s leading banks. She ensured that all the necessary paperwork were in place before my arrival in Port Douglas. Further, she assisted me in finding a solicitor to handle the legal aspects of the transaction. Furthermore, she liaised regularly with the real estate agent and the solicitor to ensure that everything went smoothly. I could not complete the purchase of the property during my short visit to Port Douglas and so some of mortgage documents had to be sent to me interstate for signature and witnessing. Whilst I was in Perth,Western Australia, Liz organized all the remaining paperwork and sent them to a branch of the bank in Perth for me to sign. Throughout the process, Liz kept me informed of progress. her services for my next purchase in Australia. Therefore, I am able to say with confidence that Liz is honest and dependable. She is very professional and achieves the desired results. Finally, Liz is personable and will not hesitate to assist with other matters not directly related with financing, such as booking accommodation. I strongly recommend Ms Liz Wilson’s services to any fellow Australian expat seeking finance to purchase real estate in Australia. "Liz Wilson is a powerhouse of information and advice when it came to acquiring my home mortgage in 2008. My financial situation was unique and posed several difficulties - however, Liz expertly shopped and negotiated amongst several different lenders to find me the right fit, and I was approved within several weeks. Liz was friendly, informative, made the process easy to understand and supportive all the way throughout. In addition, when my personal circumstances changed a year later, she was kind, helpful and supportive in re-negotiating the terms of my mortgage. I would not have been able to keep my house without her. I cannot recommend her highly enough. " Another happy and valued customer!